BUILD 50TH Celebration - BUILD, Inc. Since 1969, when we first hit the streets in Chicago’s West Town community as a gang intervention organization, our work has touched the lives of more than 100,000 young people. Weaving the arts and healthy living into all of our work. BUILD’s tradition of leadership continues today with generations of BUILD alumni succeeding in all walks of life, supporting their families, and providing leadership in their own communities. As BUILD approaches our 50th Anniversary, we have a tremendous need and an exciting opportunity to shape the "BUILD 2.0" that will change countless lives for decades to come. In the coming year leading up to BUILD's 50th Anniversary Gala Celebration at Navy Pier, we will share our greatest achievements, champion the relevance of BUILD's involvement for future generations, and share stories from staff, youth, and partners stretching across our first 50 years. OUR SENSE OF HOPE IS CONTAGIOUS. OUR OPPORTUNITIES ARE BOUNDLESS. WE HOPE YOU WILL JOIN BUILD ON OUR EXCITING PATH FORWARD. Grateful for youth trailblazers. Grateful for BUILD. Grateful for you. This holiday season, our 'Attitude of Gratitude' campaign is highlighting the people who have made BUILD a beacon of hope since 1969. As we prepare to celebrate 50 years of impact, BUILD Radio is capturing their stories. We are grateful for Jose Cebellero, Michael Johnson and Felipe Ortiz, who were youth participants during BUILD's infancy and later joined the team as adults. They are living proof that success is always possible. They shared their stories about gang life in the 1970's, the ways BUILD helped "erase invisible borders" in their neighborhoods, and the different ways BUILD helped them grow. Listen to the full interview here! Listen to this amazing trio of BUILDers on our “50 Years of Stories” podcast series. 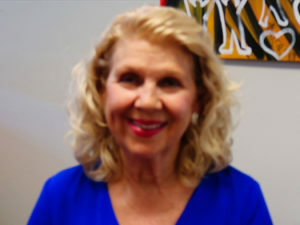 Meet Adele Bach, the wife of one of BUILD’s original founders, who in 1969 had the foresight to tackle gang issues through innovative tactics. Focusing on remediation, Hank Bach and his fellow founders laid the foundation for the work we still do today. Their mission was to provide positive alternatives for gang-affiliated youth, like athletics, cultural activities and job training. Though Hank Bach is no longer with us, his legacy lives on in the work we do every day. We are grateful for BUILD, which gives us a platform to carry out his vision. 50 Years of Stories - BUILD Radio podcast series and archive project, captures the stories of our founders, our early days, and the struggles and successes that have created impact for five decades. We'll celebrate Adele Bach and other BUILD pioneers at our 50th Anniversary Gala on at Navy Pier May 3, 2019. Listen to Adele Bach on our “50 Years of Stories” podcast series. Meet Debby Preiser (left), one of BUILD's first volunteers, who ran our tutoring program. Betsy Burgos (right) was one of her youth tutors. After not seeing each other for 30 years, they reunited at BUILD for our 50 Years of Impact BUILD Radio podcast series and archive project, which captures the stories of our founders, our early days, and the struggles and successes that have created impact for five decades. We'll celebrate Debby, Betsy, and other BUILDs pioneer at our 50th Anniversary Gala on at Navy Pier May 3, 2019. 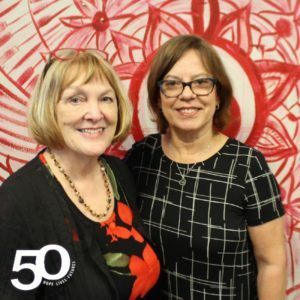 Listen to Debby and Betsy on our “50 Years of Stories” podcast series. At BUILD, we are proud of our rich tradition of diversity – 80% of our team reflects the background and culture of the youth we serve. 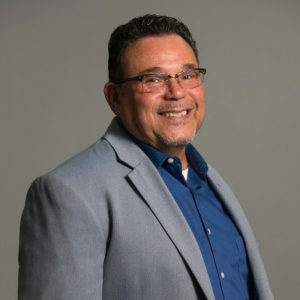 To celebrate National Hispanic Heritage month, the BUILDer sat down and reconnected with our first Latino Executive Director, Freddy Calixto. Calixto, who is of Puerto Rican descent, led BUILD for 15 years from the 1990’s into the 2000’s. He did not start at the top of the organization, however. Calixto grew up in Lincoln Park during the 1960’s and 70’s, which had a significant Latino population at the time. Listen to Freddy on our “50 Years of Stories” podcast series.